All I do at work is fingerprinting for FBI clearances. So this guy comes strolling in for fingerprinting. I do my thing and he leaves. No big deal. 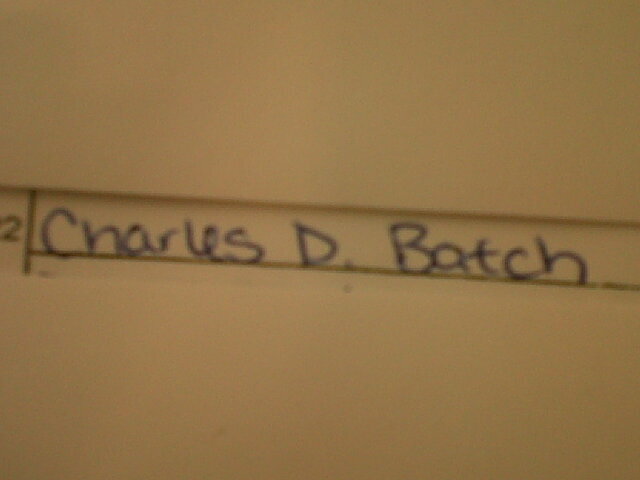 I checked the name and it was Charles Batch. “Yeah, it is. Why? Who’s Charlie Batch?” I said. “He plays for the Steelers!” screamed the receptionist. “What!?! I just thought he was a regular Joe Schmoe!” I replied. •He was the 22nd person I fingerprinted today. •He’s hella’ tall in person. •The woman he was with had a pretty face but she had the chunks. Made me feel slightly better about my body image. •I think he knew that I genuinely didn’t know who he was. DA BEARS! •I touched his hands. That’s right ladies and gentlemen, be jealous. And there you have it, folks! That is my encounter with Charlie Batch. Now, run along, kids. Nothing to see here.